The Independent is reporting that "Donald Trump will use his upcoming Saudi Arabia trip to announce one of the largest arms sales deals in US history - somewhere in the neighbouhood of $98bn to $128bn worth of arms. That could add up to $350bn over ten years." 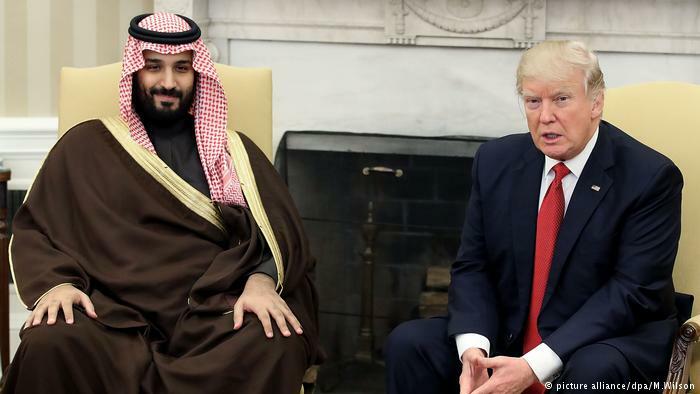 Although Saudi Arabia is an ali, the concern is who Saudi Arabia turns around and sells those arms to. It's like communist China seling nuclear missiles to North Korea through it's deal to purchase Canadian reactors. Last year Wikileaks reveals how the Clinton's family's charitable foundation received a million dollars for convincing the US to sell arms to ISIS through Quatar and Saudi Arabia. So once again, say hello to the new boss, same as the old boss yo. I'm sure all those concerned will be very happy with the deal. The Saudi's get the arms they desire. They in turn sell them to the political allies, who may not be the allies of the U.S.A. or their allies. But of course the financial supporters of the Republican parties who own these military corporations are absolutely thrilled as will be some of Trump's base, who have been now told this will provide jobs, jobs, jobs. of course when the end users of these "arms" kill Americans the base won't be too happy but by then trump, Tillerson, Sessions, etc. will have gone to greater things. I am sure there was some discussion regarding real estate investments for the son in law's family, etc. and how more Saudi's could gain visas to the U.S.A. if they only put up $500K for one of their projects. Ivanka will most likely be able to seal a few deals and all will be good in the house of trump. ought to be fun when he gets back and the "hearings" start. its just going to be so boring while he is gone. do not be surprised if there is a future announcement of some "think tank" on religious themes/whatever, and the money goes through New Jersey. That's how some of the money might be coming back. Hey does anyone thing Trump/Sessions/Tillerson are doing this for free, as in just their salaries.